We all have seem to have a burning desire to check out providers we use. This desire led to massive growth for Angie’s List, Yelp, and a plethora of other review sites. In freight brokering one of the commitments we make to our customers is that we will do everything we can to get them a quality truck with a quality driver. We check insurance, safety rating, authority history. We blacklist anyone who can’t be on time, communicate issues or live up to our standards. We expect that our customers and prospects look at us with the same scrutiny. How is our credit? Do we pay our drivers on time every time? Are we a great place to work? What quality of employees do we retain? What are our safety policies? Yelp and Google just aren’t the only suitable places to rate a freight forwarder or any business, for that matter. 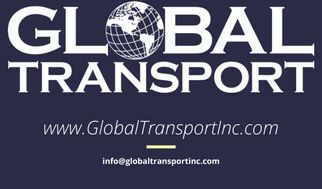 The BBB reached out to see if we, Global Transport, Inc., wanted to be accredited. Not quite sure what that meant, we did a little research. “Oh, you have to pay. Probably just send the money and they put you on the site.” This was so far from the truth. They looked into details about our history, ownership, and asked for copies of our financials. Then they took several weeks to find other sources to backup what we provided. We were impressed with how thorough they were. They rated us ‘A+.’ We’ll wear that with pride. Another distinction that shows everyone that we are not your typical freight broker and trucking company. We genuinely care about how we are perceived. We’ve worked hard to be a reputable company, and we hope you can see our efforts. Victor Kaiser, President,Global Transport, Inc.